Baltimore County is looking to increase security at its public schools, with a $10 million investment in security equipment. County Executive Kevin Kamenetz is asking the County Council for $2.5 million for equipment this year, and for the remaining $7.5 million for the following two years. The county’s schools recently received a substantial security upgrade with the introduction of the One Card System this year. Students and staff now carry cards they use to enter the building. By using the cards, attendance and presence of students and staff in the building can easily be monitored throughout the day. 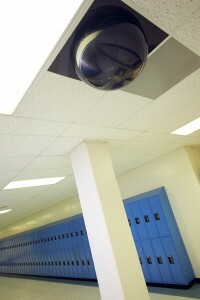 The next progression in the county’s security effort is the One View system, a video surveillance system which is currently in use at all 107 elementary schools in the county. The system, which cost $3.7 million, includes at least 3 cameras per school and allows police and school resources officers access to live-feeds from the cameras. One View has already resulted in an arrest of an adult who wandered into a school, according to Baltimore County Police. Baltimore County’s push for increased security at its school can be attributed in large part to a 2012 school shooting at Perry Hall High school that injured one student. This entry was posted on Thursday, October 23rd, 2014 at 1:12 pm. Both comments and pings are currently closed.